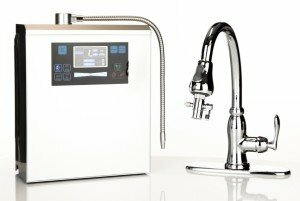 If you are in the market for a top-shelf water ionizer, one machine you will want to take a look at is the Platinum Alkaline Water Ionizer by Bawell. The Bawell ionizer sells in the $2,000-$2,500 price range and receives some of the highest customer ratings. 3 What Are Customers Saying? With a stainless steel design and an easy to read display, the Bawell Platinum Alkaline Water Ionizer is one of the more stylish countertop water ionizers. The touch screen LCD is one of the favorite features in today’s point & click world. With the eight pre-programmed setting, it’s very easy to use. Another favorite feature is the fast water flow rate at one gallon every 30 seconds. 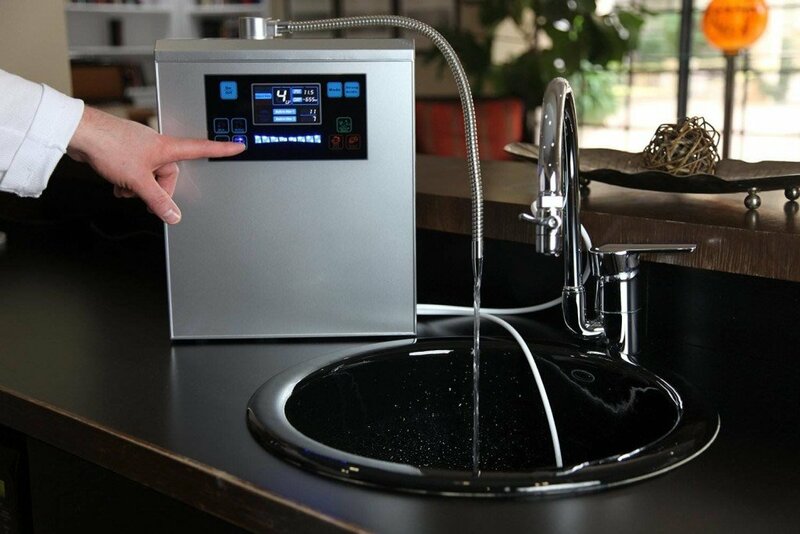 What are some of the other features and benefits this water ionizer has to offer? Let’s check it out in our in-depth Bawell Platinum water ionizer review. Or you can program it yourself anywhere in the 2.0-12.0 range. Seven solid titanium platinum coated plates create a surface area of 144 square inches to create the ionized water. The ionizer comes with a universal adaptor which allows you to fit it onto a variety of different faucet heads including prayer and pull-out styles. If you prefer, you can connect directly to the water line instead. You do need to keep the machine on your countertop. This machine cleans itself every time you start it up or shut it down, so it is easy to maintain. Not only do you get to enjoy your water at a healthy pH, but you get to keep it clean as well through the use of internal dual filtration technology and an electrolytic antibacterial system. The Platinum Bawell water ionizer is backed by a Forever Lifetime Warranty. To use this ionizer, you will want to have a fair amount of counter space either to the side or back of the faucet. That said, the unit should fit fine in most kitchens. It is incredibly convenient that you can choose to attach it either to the water line itself or your faucet head. And since the universal adaptor makes it compatible with most faucet heads, you should not need to worry about replacing yours. The Platinum Alkaline Water Ionizer by Bawell is made out of BPA-free food-grade plastics which have received the approval of the FDA, so it is a healthy device to run your water through. 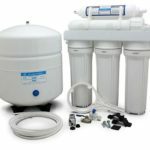 The filtration technology will cleanse your water of harmful microbes and remove unwanted minerals (great if you are trying to fix a hard water problem). Additionally, the huge number of pre-programmed settings (8 at each power level) makes it a breeze to get your water as alkaline or acidic as you want it. We should note this is the top of the line model offered by Bawell. They also have some lower-priced options such as the Premier Model 1195 which may be a good fit if you have a lower budget since it comes in at about $1,000 less. The Bawell 1195 has a slightly smaller Ph range, five plates vs. the 7 of the 2195 and a lower flow rate, but it still is a solid product with strong reviews and feedback from the user community. It is just the older model from the same company. One important consideration when buying an alkaline water machine is the life and cost of the filters used in the machine. The Bawell Platinum model 2195 has two filters which need to be replaced that are used during the first & second stages of the alkaline water process. To determine the replacement time for your household try to estimate the number of gallons used a day & use the following chart as a guide. A filter replacement counter is located on the front of the machine & will let you know when it is time to replace the filter. To simplify the math, we suggest budgeting for both filters once a year. 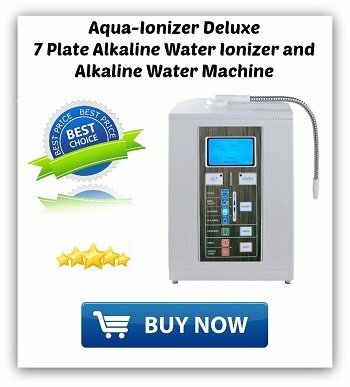 In writing our Bawell water ionizer review, we felt that it was important not only to look at the specifications for the machine, but also to find out what the real-life experiences of customers were like, and whether they reflected the value you would hope for when making such an expensive purchase. Customers have received some great benefits from drinking alkaline water. So what do customers have to say about this ionizer? Buyers praise the easy installation of the machine and its compatibility with a wide range of faucet heads. If you are concerned about how the water will taste, customers have good news. Numerous reviewers mentioned that the water tastes great in a glass and that it is also great to cook with and makes food taste better too. The range of alkaline and acidic settings are all useful. 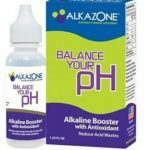 You might wonder why you would want acidic water settings since the whole point of buying an ionizer is to restore an alkaline pH to your drinking water, but there are uses for acidic water too, for example in gardening. So you will probably end up using all the settings. Reviewers also praise Bawell itself for good customer service. This is important should you ever need to call upon your warranty. Are there any negatives worth noting? We could find almost no negative feedback for this product. In our research, we found only a single detractor who did not seem to be a fan of alkaline water in general – which of course everyone is entitled to their own opinion. There are no miracle cures for diseases or ailments, but alkaline water is certainly an excellent treatment for your general health. And it should raise your overall well-being a few notches regardless of your health situation. So long as you have realistic expectations and room in the budget, the Platinum Alkaline Water Ionizer Machine is an excellent choice. You will find few machines that can compete for customer satisfaction!